Back to the real world after a dreamy weekend spent visiting old friends in Ottawa and then taking off to the country outside of Wakefield, QC. Spending the rest of the long weekend on a beautiful, isolated farm run by some rad CKUT alum was such a nice change.. did some hiking, ate amazing food, and gave my muscles a serious workout weeding in the fields all day. Feels good, y’know? 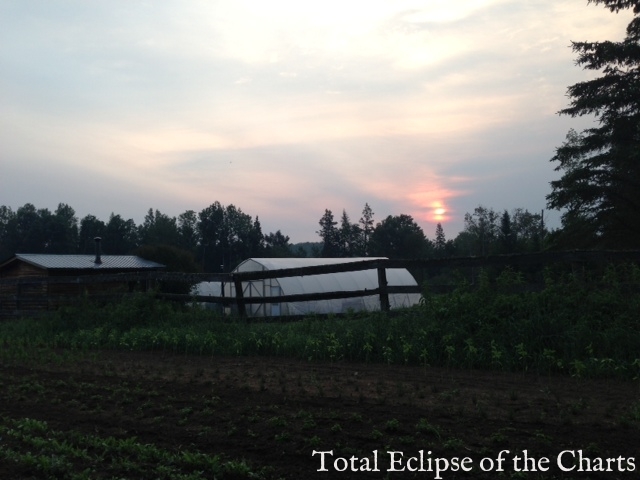 This entry was posted in Charts and tagged total eclipse of the charts on July 3, 2013 by gabriel. This entry was posted in Events on July 3, 2013 by admin.